Our new packages for chair and table decor. All packages are for 80 guests and 8 tables (additional guests/table options available) and all include chair drapes, as well as either scatter crystals or petals for the tables. Three jam jars on a log slice or three glass vases on a mirror plate, decorated to match your colour theme with seasonal flowers and candles. 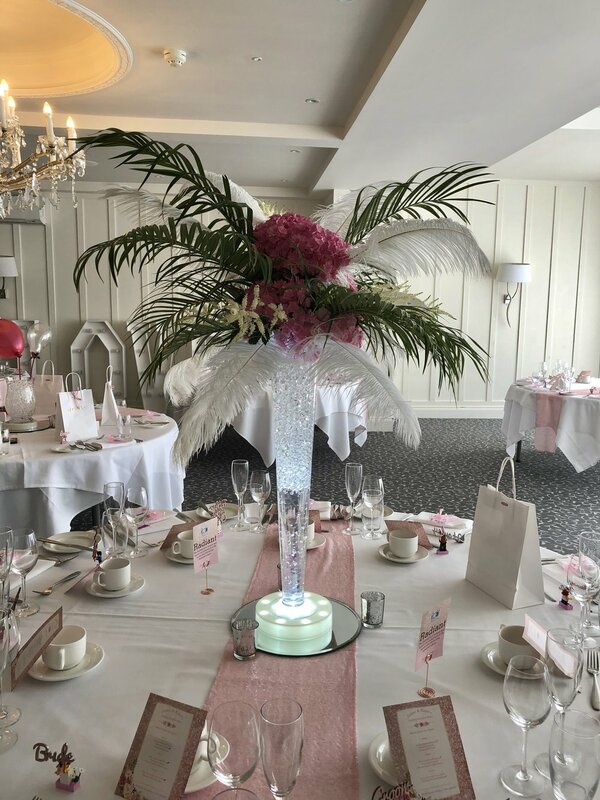 Our tall glass vases, on a mirror plate, with real or artificial flowers to match your theme.